....since I updated this thing. 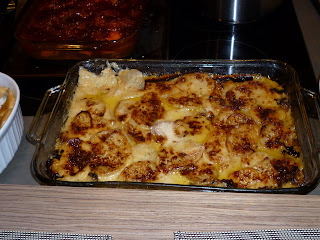 Maybe I am not a very good blogger....sigh. October: fairly uneventful I think. We didn't do much for Halloween since Tyson had the flu. We stayed in & fell asleep on the sofa watching Criminal Minds reruns. I made a very delicious coconut pumpkin bisque and garlic toasts. Not bad. November: I turned 32 in November....I don't want to talk about it. Thanksgiving was really fun! We had 14 people in our tiny condo! YES FOURTEEN! Tyson's big sister & his 2 little sisters came down for the occaision. Spencer (who was in Seattle for the holiday) graciously offerd up his place for them to stay & use the kitchen. We could NOT have done it without him. THANK YOU SPENCER! Speaking of Thanksgiving, I think we have it mastered now. 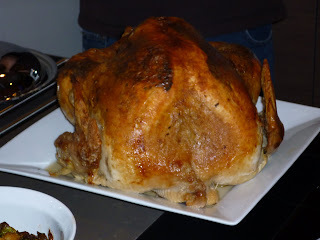 Tyson made the best turkey I have ever had....ever. 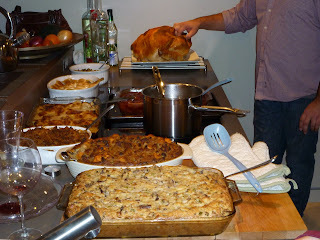 Jonathan made 2 versions of his stuffing souffle' AMAZING! Shaun brought mashed potatoes and cheezey potatoes that were sinful. 3 cheeses...gruyere, blue cheese & havarti...um yeah. We made a LOT of gravy by simmering a dozen 'turkey butts' for about 3 hours the night before. First year ever to have gravy left over! Cindy made about 6 different cranberry varieties. All good. And of course yampples. Can't have Thanksgiving without yampples. 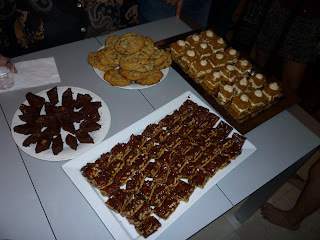 This was followed by 4 different amazing desserts courtesy of Sue May, Jessica & Rebecca. WOW! 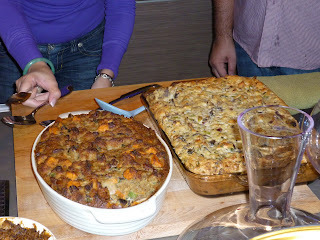 2 kinds of stuffing souffle' - amazing! 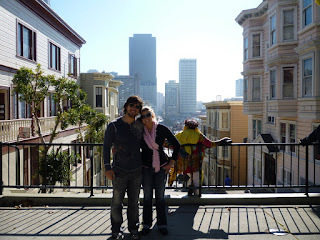 December: We traveled up to SF a lot in November & December (my b-day, band trip & Tyson's work Christmas party.) we have eaten a lot of oysters these past months....And some other very good things. Tyson found a very cool vintage jacket in a thrift store that Jonathan is making even cooler. I can't wait to see it. photos to follow. 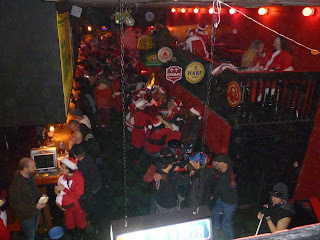 Santa Con SF 2009 - I am so doing this next year!! Wedding stuff is in the works. Picked up the invitations yesterday. They are SO AMAZING! I will take a picture of one when everything is all pulled together. Have to order my custom stamps and put it all together. Mom is done hand addressing all the envelopes. That lady is the best! Well, that's all I can think of. Merry Christmas everyone! Yay for updates! You know, one of these years we're going to have to spend Halloween together and decorate sugar cookies! :) Beautiful Thanksgiving feast!! 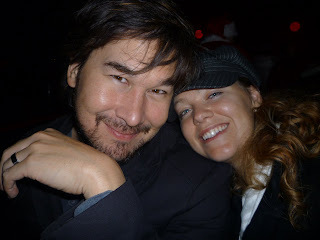 Laura, we ABSOLUTELY should do Halloween together one of these years (LA is warmer...) It would be like old times :-) Plus how can you go wrong with sugar cookies??? Yes. I'm voting LA too! It's a date...2011? 2011 it is! I am IN! !